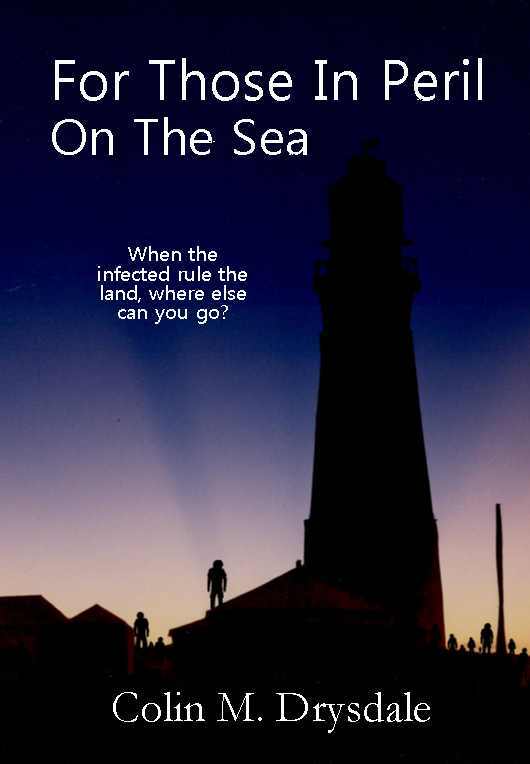 Writing, Life, Zombies, The End Of The World … And Occasionally Sailing! ‘Hey, Jack, what’s that?’ Andrew pointed over the older man’s shoulder. The two of them had been sitting in the cockpit of Jack’s large sport-fishing boat since before the sun went down, drinking rum and coconut water. It was the first drink either of them had had in many months, but for the first time in what seemed like a very long time, it felt like they had something to celebrate. Around them, four sailboats that, like Jack’s boat, had clearly seen better days, rode at anchor, while further off, the shorelines of low-lying islands were just visible in the darkness. A chart lay on the table in front of the two men, a series of small crosses marked on it, each with a date pencilled alongside in Jack’s neat, but spidery handwriting. Rob and his crew had been gone for almost two weeks, and today, they’d reached the point of no return; they were now closer to their journey’s end than to its beginning. If everything carried on as well as it had until that point, they’d reach their destination in another couple of weeks, and that would be when they’d finally find out if it had all been worth it; they’d find out if Mingulay was still the paradise that Rob remembered, or whether it was as infested with infected as the islands which lay all around the shallow channel, in a remote corner of the northern Bahamas, where Jack’s boat was currently anchored. Jack turned to look where Andrew was pointing and saw a bright light burning high in the sky. It was moving fast towards the western horizon, but before it got there, it seemed to hit something they couldn’t see and explode. Glowing fragments radiated out in all directions, colliding with other invisible objects and causing further explosions. Soon, it seemed like half the sky was filled with glowing, burning balls of fire that spun through the heavens. They were bright enough to mask the stars, and the night was now so filled with light that Jack could clearly see the people on the decks of the nearby boats as they gazed upwards in awe and fear. These five boats — six if you counted the one that had departed two weeks before — with a total of twenty-seven people on board, were all that was left of the once much larger Hope Town community. ‘I don’t know, Andrew.’ Jack placed his glass carefully on the table in front of him. He’d heard people talk about this type of thing back before the world changed. Then, it had been little more than idle speculation, but now it seemed like it was becoming reality. The Earth’s orbit was crammed with defunct satellites, old booster rockets and other pieces of abandoned junk, left there by what had, until not so long ago, been a thriving space industry. This meant there was always a risk that one of the active satellites would be hit by a piece of trash zooming around, high above the Earth, at unimaginable speeds. If this happened, the satellite could be thrown out of its assigned position and into the path of another one, damaging both of them. Once started, this could happen again and again, destroying satellite after satellite, until there was nothing left: it was an unstoppable chain reaction, called by those in the know ‘the Kessler syndrome’. In the past, space agencies had to constantly manoeuvre their space craft to prevent this from happening. Now, with no one left to monitor the risks and order the appropriate actions to be taken, it seemed like it had finally come to pass. It was a measure of just how badly humans had screwed up their planet that in a little over half a century since they’d first ventured into the space which surrounded it, they’d made even that uninhabitable. ‘I just want to check something,’ Jack answered in his soft, southern American accent. For a moment, Andrew hesitated, but the note of concern in Jack’s voice made him obey without further questioning. Leaning backwards, Andrew pressed the power button on the GPS set into the bulkhead behind where he was sitting. He watched as the screen lit up and it started to search for the signals it used to work out where they were. Soon it had picked up the required four satellites and had provided a position. Andrew pressed the appropriate buttons and the screen changed. Now, it showed a plot of all the satellites the GPS was picking up signals from, and their positions relative to the boat. Jack walked over and stood behind Andrew. Just as he got there, another satellite blinked out, then another. They both stared at the screen, watching the signals vanish one by one. Soon, a message flashed up, telling them that there were no longer enough for the GPS to calculate a position. A few minutes after that and the last satellite disappeared. Suddenly, the peacefulness of the night was shattered by a single roar, followed by another, then another. Jack’s eyes shifted from the sky to the nearest island. There, he saw infected emerging from the remnants of buildings and out of the bushes. They were staring up into the night sky, reaching out towards the brightness. They didn’t know what it was, but they assumed it meant their favourite prey was near, and for them, that was humans. They milled around, howling and moaning in frustration, unable to find anything worth attacking. Jack took his binoculars and examined them. It was the first time he’d seen infected in such numbers since the night the hurricane had ripped their community apart, killing many who’d survived the infected’s initial onslaught. Most of them were thinner and more emaciated than ever, yet still the urge to attack, to rip, to kill, burned deep within their hearts. Here and there, amongst these skeletal figures, Jack spotted ones that were different: some had bellies bulging from their otherwise withered frames, while others seemed to have suffered little or no hunger at all. These infected had clearly been eating recently and regularly, and Jack wondered how they were sustaining themselves. Surely there could be little left for them to feed on? All the stray dogs, the feral cats and the rats must have been consumed by now. 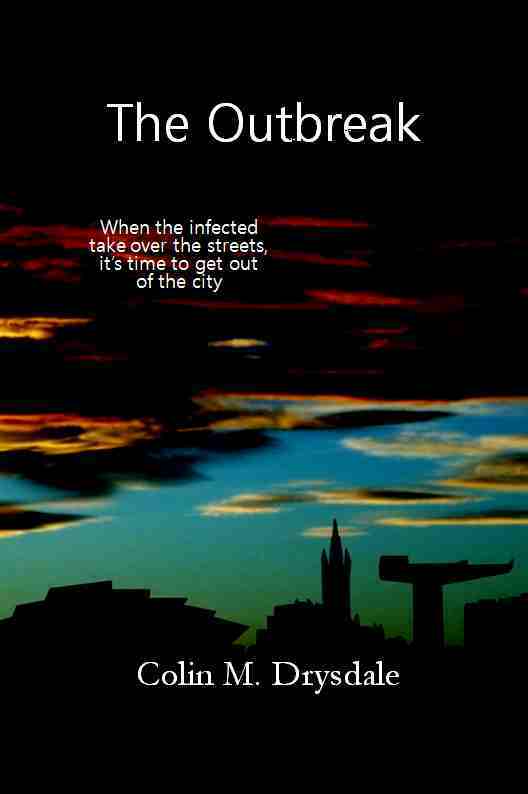 And yet, while most looked close to death, some of the infected were clearly not just surviving, they were thriving. There must be some resource they were consuming that others were not. Did this mean the infected were doing something different now? Or had these individuals always been there, and were only now visible as the others thinned? 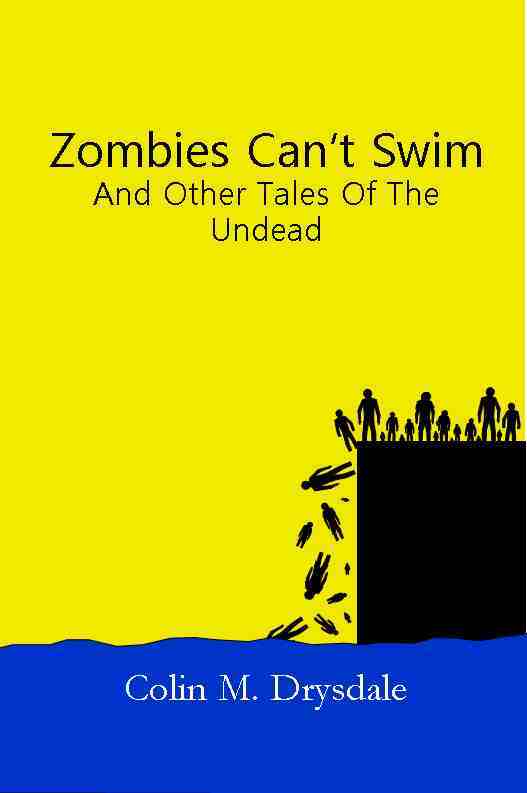 Jack wondered what this might mean for their ability to survive. They’d always assumed the infected would eventually starve to death, but did this mean that maybe they wouldn’t? Or at least, that some of them wouldn’t? Maybe they’d always be there, lurking in the shadows, waiting to attack the moment they tried to return to the land. Jack lowered his binoculars and picked up his drink again before draining it. As he did so, a creeping sense of despair started to work its way into his mind. Every time the situation worsened, they’d adapted to it, but just as it seemed like they were about to get back on top, something else happened and it would worsen some more. The hurricane had shown them they couldn’t hope to survive in the Abacos in the long term, not with the infected on the nearby islands, the drifters in the surrounding sea, and the ever-present risk of more storms. Yet, Rob had come up with a plan that might just save them all, and he and his crew were now halfway across the Atlantic to check it out. If it turned out to be a viable option, the other boats in the community would all need to be able to follow in Rob’s path, but with the loss of the GPS satellites, this would be much more difficult than they’d originally anticipated. Indeed, without a working GPS, Rob might not even make it to Mingulay in the first place. If that happened, the rest of them, those that made up what was left of the Hope Town community, would have no other option but to stay in the Abacos, and then their only chance would be if the infected died off sooner rather than later. And now it looked like some of the infected were able to survive, even though there were no humans, or seemingly any other animals, left on the land for them to feed on. If Rob’s plan failed, one way or another, Jack couldn’t help but think that it would signal the end. It might be long and drawn-out; it might take years; but still, looking back, they’d see that Rob’s failure to find a safe haven where they could rebuild their shattered community marked the point where the end had begun. Part two of this free preview will be posted tomorrow (24th October 2015). If you wish to download a PDF of all three parts to this free preview, you can download it from here. 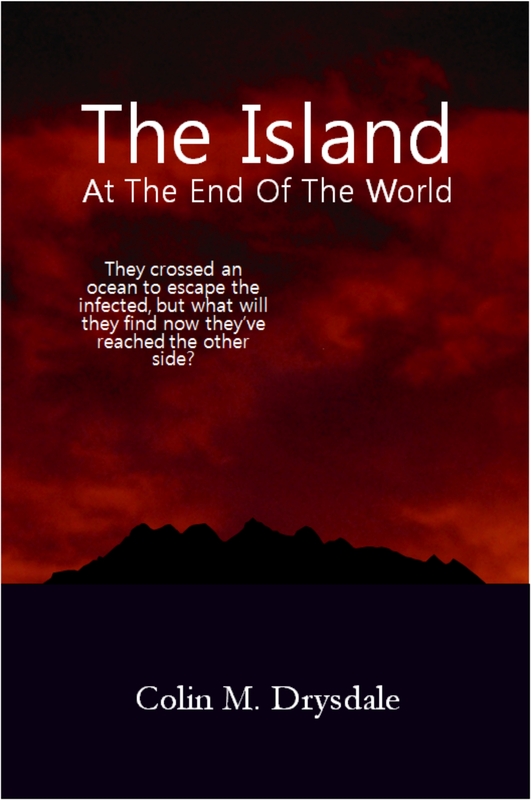 If you have enjoyed this preview, you can purchase a complete copy of The Island At The End Of The World from http://www.amazon.com/gp/product/B0170JS9WE. The Island At The End Of The World - Kindle ebook - $4.99. 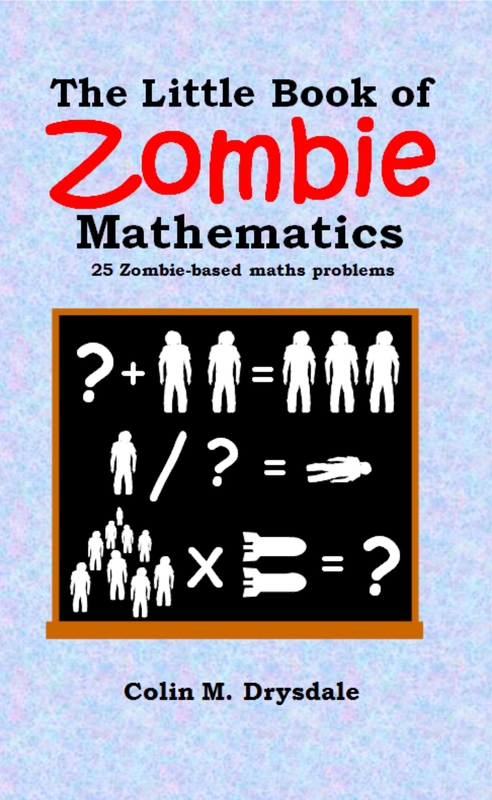 review of this book, click here.